In 1919, British conscientious objectors were still in prison. They began to be released in April of that year. 100 years later, to mark that event, former National Theatre and RSC actor (and attender at Wandsworth FMH) Michael Mears will give two performances of his acclaimed solo play about the COs, on Easter Sunday in Bristol. 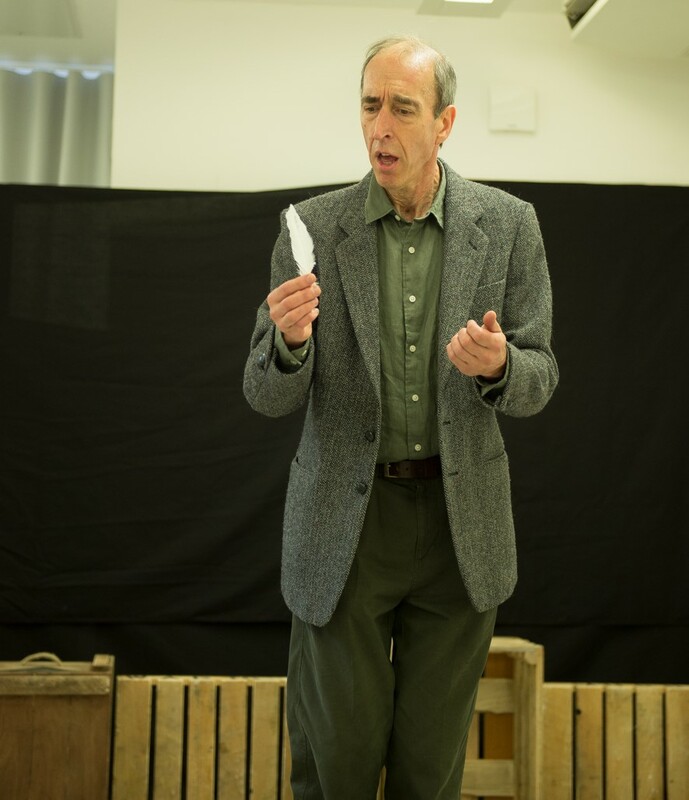 Michael portrays over 52 characters in this play which tells the compelling and inspiring story of the men who in 1916 said no to war, and which draws on a number of verbatim testimonies from the time. The nine distinctive wooden crates used in the play are designed by Winchmore Hill, north London, Quaker, Mark Friend.